A little over two weeks ago, everything was rosy in Antonio Conte’s new back garden in southwest London. 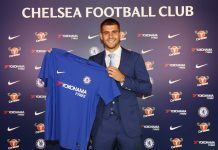 His Chelsea side looked to be gelling well, after last season’s disastrous defence of their Premier League crown, having won all three of their first four league games. 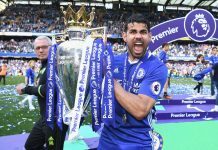 A controversial 2-2 draw at Swansea wouldn’t have dampened the Stamford Bridge spirit too badly and the team still looked on course to challenge for the title once again. 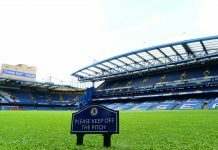 A fortnight is a long time in football however, and following two dismal defeats against Liverpool and Arsenal, Chelsea’s title hopes seem to be sinking without a trace. The players have quickly regressed back to the lacklustre performances they put in during the last campaign, where they looked totally devoid of confidence and motivation. Two of the goals conceded in the 3-0 loss at The Emirates were down to sloppy, individual mistakes and Theo Walcott’s goal, a culmination of a typically fluid Arsenal attack, could have been prevented if there was a little more impetuous and organisation in the Blues defence. 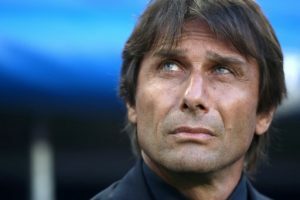 Like many Italian managers, Conte is a stickler for defensive structure. Once the game was lost, he went back to his favoured 3-5-2 formation, and although his Chelsea side didn’t concede in the second half, it was still an unfamiliar tactic for this group of players. John Terry’s mere presence is usually enough to give a fragile defence enough backbone to compete, but Terry is 35 now, so his consistency on the pitch cannot be relied upon for much longer. Clearly, changes need to be made. David Luiz’s return to Chelsea was a baffling transfer for most in the world of football, as he is the complete opposite kind of defender you would expect Antonio Conte to buy. Gary Cahill seems to be under an enormous amount of pressure, whether that’s coming from the management or himself, whilst Branislav Ivanovic, once one of the most solid and consistent right backs in the division, looks a shadow of his former self. The transfer window doesn’t open for another three months, so a short term fix is what’s needed at the moment and there could be a very simple way to achieve it. Cesar Azpillicueta has deputised at left back very effectively over the last three years, but his reluctance to use his left foot means attacks down his side of the pitch lose momentum whenever he gets into a potential crossing position. Moving the Spaniard to right back would be a comfortable transition, allowing Marcos Alonso the chance to come into the side and prove he is a top quality player. David Luiz isn’t a good enough defender to cope with Premier League football and Ivanovic’s Stamford Bridge race looks to be run, so a more relaxed Gary Cahill and the imminently returning John Terry is the best central defensive partnership Chelsea can hope for at the moment. 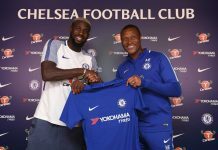 In a recent interview with the Daily Express, Conte said that Kurt Zouma, who has been missing since February, is due to return to the first team after next month’s international break. The young Frenchman is sure to walk back into the side, after impressing for large spells of last season. 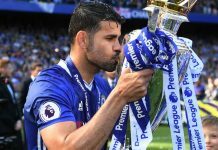 Who he will replace in the first team is still up for debate, but a defensive reshuffle is desperately needed at Stamford Bridge, if Antonio Conte wants to get Chelsea’s title challenge up and running again.